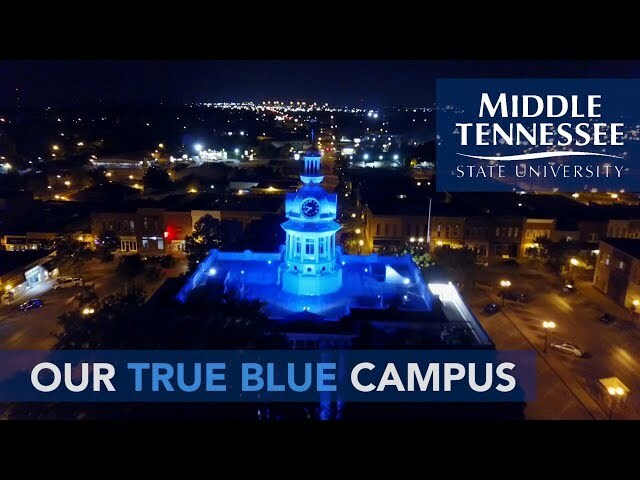 Developed locally on MTSU’s campus by students in the Agribusiness program, MTSU milk (especially chocolate) is notorious in the local community for its rich flavor. 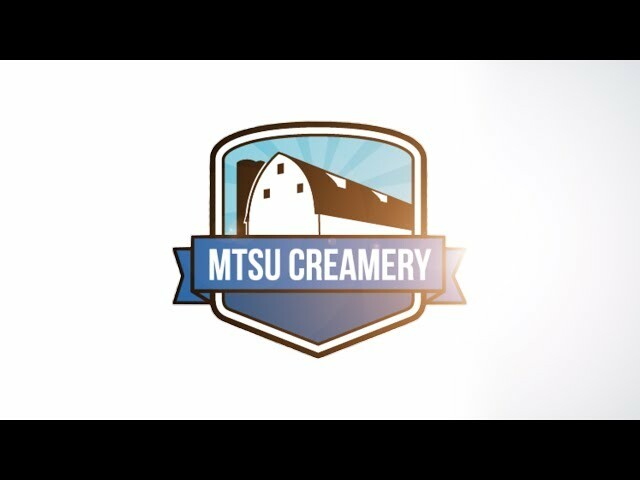 Facilities and production has grown enough over the last decade that, in June 2017, the College of Basic and Applied Sciences and the School of Agriculture partnered with state and local businesses to launch the official MTSU Creamery. Outside of providing milk for our on-campus facilities (Phillip’s Bookstore, Aramark PODs, Dwight’s Mini-Mart (KUC 200), MTSU Pharmacy), the product is also being sold at the following Middle Tennessee retailers: Hattie Jane’s Creamery, City Café Restaurant, Rutherford Farmers Co-op, Lascassas Feed Store, and Two Fat Men Catering. Agriculture feeds the world. We take you there. The importing and exporting of food products is a multi-billion dollar business. Agribusiness students have the opportunity to travel abroad and study this business firsthand. In addition to yearly trips to Canada and Argentina, students can learn about the international wine industry in a course taught entirely outside of the United States. And more opportunities are being developed yearly! A student majoring in Agribusiness can earn a Bachelor of Science (B.S.) degree. Other majors in the School of Agriculture leading to a B.S. are Animal Science, Animal Science with a concentration in Horse Science, and Plant and Soil Science. Although it is not designated as a concentration, students may also take courses in pursuit of an Agricultural Education Certificate. Undergraduate and graduate minors are available in Agriculture. The program leading to a major in Agribusiness is designed for students who are interested primarily in the business of agriculture. Nature, scope, importance, and relationship to the general economy. Prerequisite: AGBS 3130. Analysis of the forces that drive agricultural markets, the risk inherent in these markets, and tools that can be used to defray agriculture-specific risk including production risk. Prerequisite: AGBS 3130 or approval of instructor. Application of economic concepts to agribusiness firms. Prerequisites: MATH 1010, MATH 1530, MATH 1630, MATH 1710, MATH 1720, MATH 1730, MATH 1810, or MATH 1910 and AGBS 2130 or AGBS 3130. Application of finance to farms and agribusiness; topics include farm real estate, financing farm inputs, and financing commodity marketing plans. Prerequisite: AGBS 3130 or approval of instructor. Interdisciplinary experiential learning in a foreign country. Foreign agriculture and agribusiness explored in the classroom and onsite through a planned trip. Students required to hold (or acquire) a valid US passport and participate in a one- to two-week visit to a foreign country during the course. Combined lecture/lab. Prerequisite: AGBS 3130. Agricultural policy in a democratic society; relationship of farm groups to public policy; types of agricultural programs and appraisal of their results. Prerequisite: Junior standing. The role of information technology in organizations. A general introduction to computers with an emphasis on personal computing, database, word processing, presentation graphics, spreadsheets, and Internet tools. Does not count for Computer Science major or minor. Curricular listing includes General Education requirements in Communication, History, Humanities and/or Fine Arts, Mathematics, Natural Sciences, and Social/Behavioral Sciences categories. *Student should take 3 hour, upper-division elective during the semester AGBS 4150 or 4190 is not being taken. Agribusiness, Agricultural Education Certification, B.S. Agribusiness majors seeking certification to teach agricultural education in secondary schools (grades 7-12) must complete (1) the Agribusiness major, (2) a minor in MTeach, and (3) professional agricultural education courses.